Anyone who's visited Unique Young Mum or any of my social media platforms will know how much me and Spud love Disney. I'm not just talking about Disney Land, I'm talking about everything Disney, the Disney Store, all the Disney movies - Classics, Pixar, the lot, you name it, we own it! I'm talking about the shows across the various Disney channel's, books, characters, toys, tableware, decorations, clothing and so much more! On Thursday the 3rd March, over 100 countries worldwide will be taking part in the 19th World Book Day! World Book Day has become a much loved and celebrated event in the UK, with it being a celebration of authors, illustrators and books, but most importantly it's a celebration of reading, something that should be embraced and focused on by all of us! 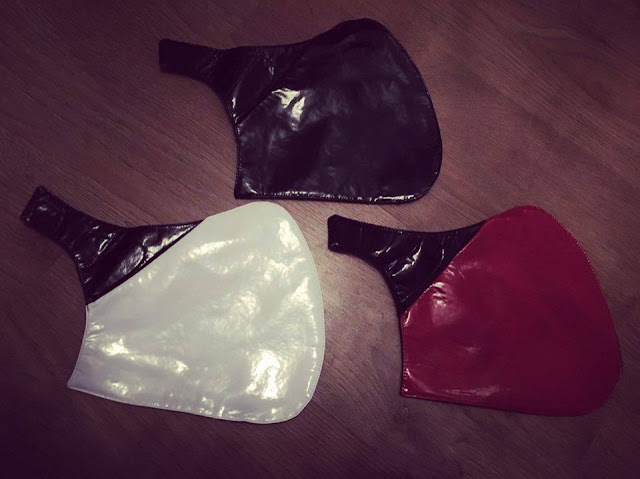 Across the UK, it's become a regular celebration for children at playgroups, nurseries, and schools to dress up as their favourite characters, mainly from books, and nowadays, near enough every character, if not all of them, have a book on them, so it's easy for your child to dress up as their favourite character for the much anticipated event! Being the obsessed Disney fans that both myself and Spud are, of course, in true fashion, Spud wants to dress up as a Disney character, and luckily for us, the Disney Store has a fantastic choice of costumes available for children, and even some adult costumes and accessories too! 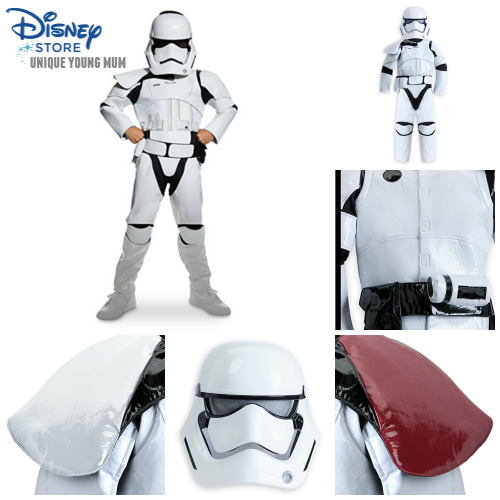 With 25% off their costumes, it's so easy to be Part of the Story with Disney Costumes! 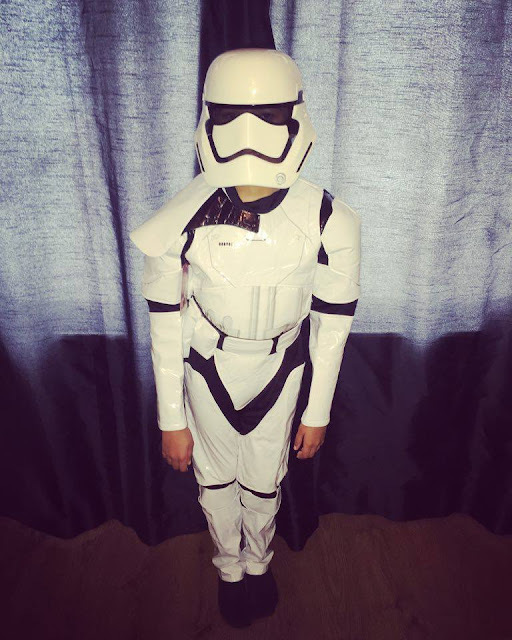 After spending the best part of an hour looking at all the fabulous costumes available, Spud finally settled with the Stormtrooper Costume from Star Wars: The Force Awakens priced at £35.95 (this is one of the few costumes which isn't in the sale). The costume is available in sizes 3-13 years, it's an all in one 100% polyurethane bodysuit with segmented vinyl covering and screen art, it includes the suit, a hard plastic half mask with see through mesh eyes and elastic band with self-stick fabric closure to ensure a secure fit, a belt and three swappable pauldrons allowing your child to choose their level; Red = Officer, Black = Sergeant and White = Squad Leader. The pauldrons attach with self-stick fabric closures, whilst the bodysuit features self-stick fabric openings for easy on and off access. The belt features a pouch, padded foam accents and self-stick fabric closures. The costume is wipe clean only, so not available for machine wash, but after wearing it for dinner and spilling some dinner down it, it was very easy to wipe clean again! Keeping in tune with World Book Day, Spud has created this short story below based on his costume that he would love to share with you all! Once upon a time, there was a lady who loved Disney but sadly she had never been to visit her dream location which is Disneyland. One day whilst she was day dreaming about Disneyland yet again, a Storm Trooper appeared out of nowhere, introduced himself as Spud and asked the princess what was wrong. The lady explained that she was sad because she wanted to visit Disneyland but everytime she tried to save money, bills and other essentials took her money away from her dream. Spud the Storm Trooper told the lady not to worry because he was going to help her dream come true! Spud pulled a lightsaber out of his back pocket, and used it as a magical wand to put a treasure chest full of money in front of the ladies eyes! Before the lady could turn around to say thank you to the Storm Trooper, he had disappeared into a galaxy far, far away! The lady pinched herself because she thought she was dreaming, but she wasn't asleep and the treasure chest filled with money was real! Little did she know, Spud - the Storm Trooper who visited her, had been sent to her by her guardian angel. The lady went to Disneyland and had a magical Disney time and met her favourite Disney Princess Belle, whilst Spud, the Storm Trooper, watched on from his iPhone in the galaxy far, far away! World Book Day is on Thursday 3rd March 2016. Whatever you're doing for the day, I hope you all have a lovely time! 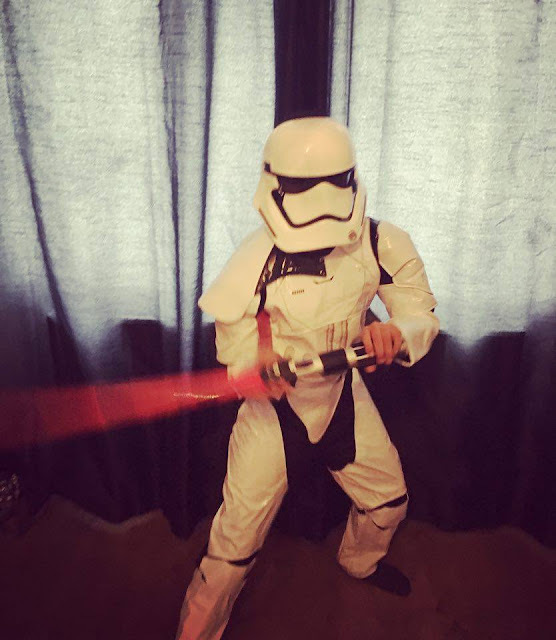 I wonder where you little one gets his Star Wars interest from? I hope he wins the class competition if there is one. 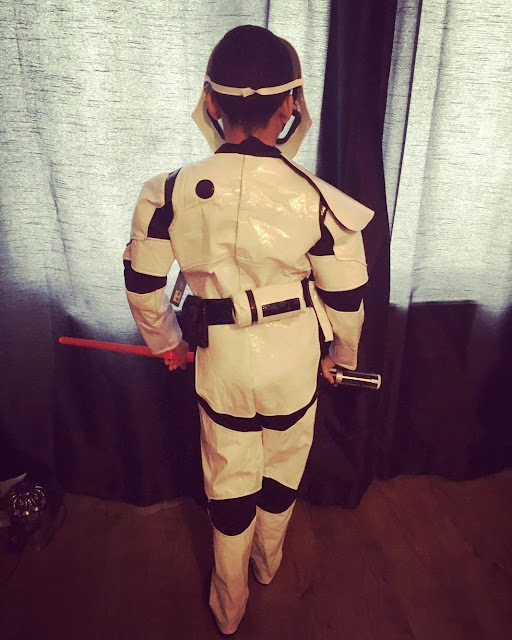 He must be happy he is going to school dressed as a Stormtrooper. The price for this costume is not cheap OUCH. Disney do charge a lot for these things.